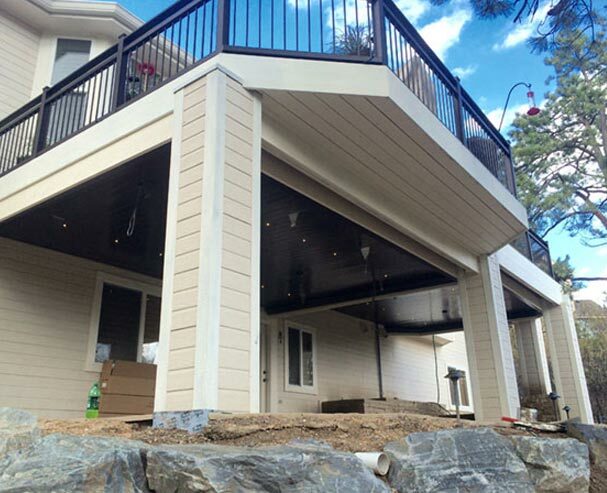 If you’re someone who’s always looking for a new home improvement project to start, you’ve probably considered, at one point or another, designing or redesigning your under deck patio or walkout basement area. The great thing about this is that there’s a nearly endless list of things you could do with it. Unfortunately, this is also its greatest curse as many people have trouble finding the right people to get the job done. 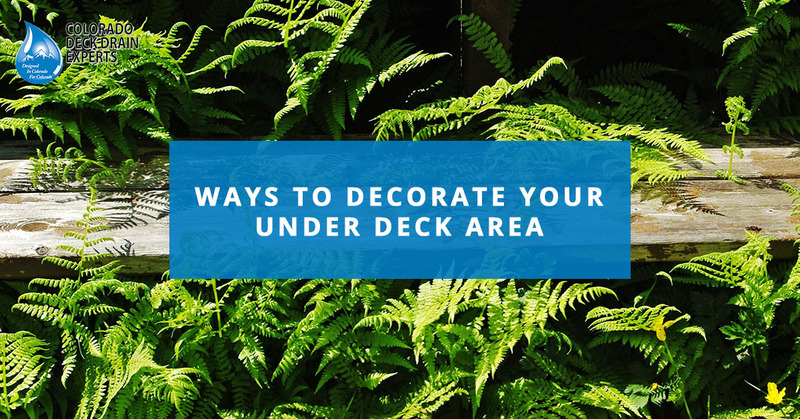 Let’s take a look at some of the top design ideas for your under deck area to help you narrow down your choices. 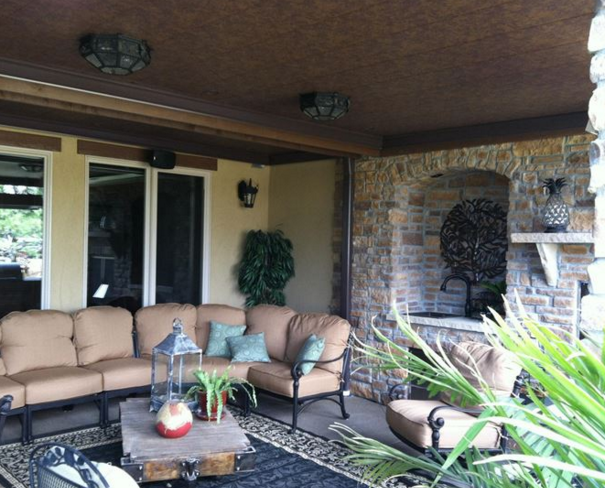 The first thing that comes to mind is to use your under deck patio as a lounge area. This is very easy to pull off and allows you to splurge as much or as little as you want on furniture, tables, and decorations. If you’re really looking to ramp it up, you can even build in a fireplace or grill, depending on how much space you have available. However, it’s important to remember that if you want to add any electrical fixtures in order to power lighting, fans, or entertainment systems, your deck will need to meet international electrical code requirements which require inspection by an electrician. Poorly designed outdoor electrical systems can be extremely dangerous if they aren’t done right. Don’t have room for a bar inside your home? Why not bring it outside? 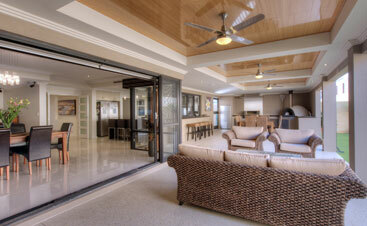 If you have a pool in your backyard and a walkout basement design, you’re the perfect candidate for an under deck bar. We’ve all been in that situation where we’re out enjoying the sun and then the weather starts to get dicey. 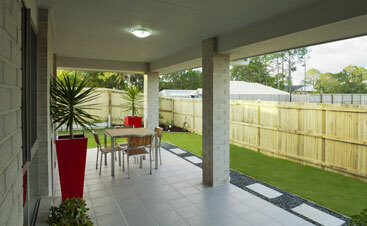 With an outdoor bar, simply move the party to your under deck area. You’d be hard pressed to find someone doesn’t like hot tubs. Whether it’s a cool summer night or the middle of winter, hot tubs are the perfect way to relax and unwind after a long day. If you want the most flexibility possible out of your hot tub, it’s best to keep it under some cover. Although you could add a gazebo or other form of cover in your yard, it’s more cost effective to use the cover you already have: your deck. One thing you’ll need to be careful of with an under deck hot tub is the added moisture. Moisture can lead to mold and mildew which can damage your deck. No matter whether you use your deck for one of the above uses or you have other ideas like using it for storage, you’re going to need an adequate deck drain system in place. 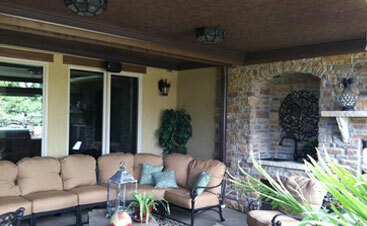 Deck drainage plays an important role in keeping your home both comfortable and safe all year long. Instead of water going in between deck boards and landing in your under deck area, it will be transported away from your home. Not only does this keep your patio dry, but it also allows you to safely install electrical fixtures, and helps prevent water damage. 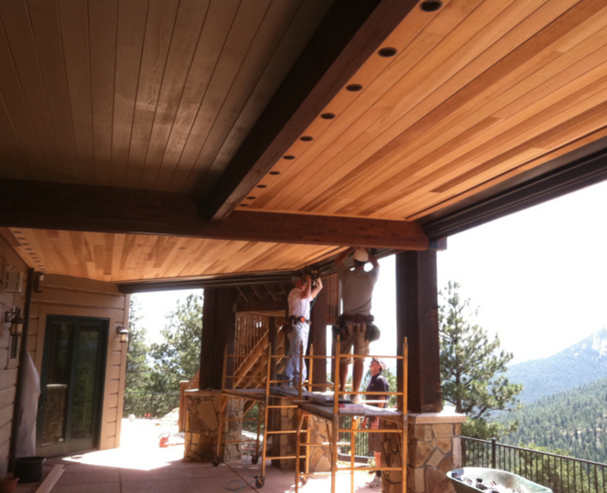 If you have any questions or you’re ready to get started, contact Colorado Deck Drain Experts today.